The Panasonic KX-TGH 220 is a stylish cordless phone offering a range of useful features including call blocking, a full-colour backlit display,and an integrated loudspeaker for hands-free communication and everyday conference calling. With the RTX repeater included you can up to double the cordless range from the base station. If you're tired of being inundated with unwanted sales calls, you can block certain numbers or even numbers containing a specific combination of 2 to 8 digits. 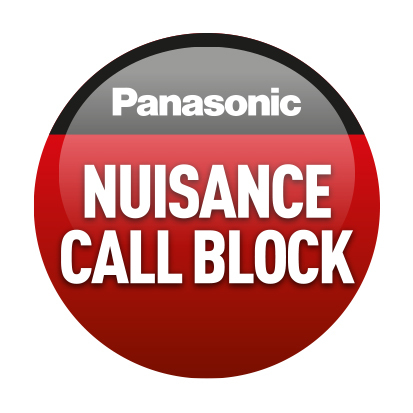 Additionally, the phone can automatically block calls from withheld numbers. Featuring an integrated answering machine storing up to thirty minutes of voicemails, the Panasonic KX-TGH 220 helps to make sure that you won't miss any important messages. An LED indicator on the base station will also let you know when you have a message waiting for you. The Panasonic KX-A 405 is a reliable DECT repeater designed to double the range of your cordless phone system. Featuring a convenient, wall-mountable design and quick and easy installation, the repeater is compatible with Panasonic KX TCD base stations, and thanks to roaming capabilities, it allows you to make and receive phone calls while moving around anywhere within range of the repeater or the base station. Sporting a simple plug-and-play design, no wiring is necessary to set up the Panasonic KX-A 405. All you need to do is connect it to the mains, and you can register up to six repeaters to a single base station. Under typical usage scenarios, the repeater extends the range of your cordless phone network by up to 50 metres indoors and 300 metres outdoors. Additionally, you can use up to two cordless handsets at the same time within the area covered by the repeater. 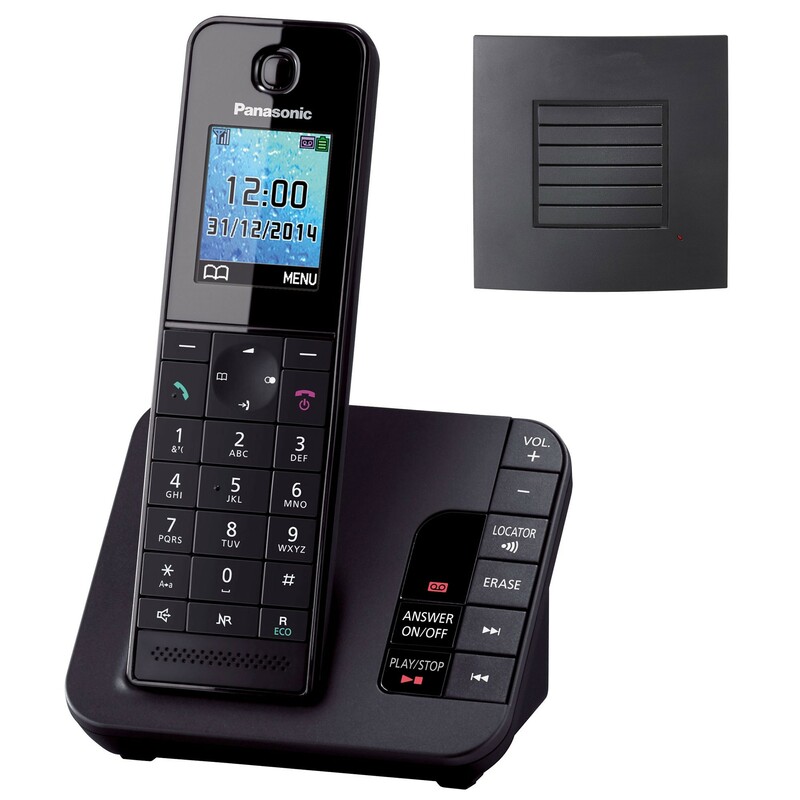 The Panasonic KX-TGH 220 is an excellent mid-range cordless phone and this long range bundle is ideal for larger homes or those with problems with range. Buttons flat, would like a slight feel to buttons. Super design, quality & features. Great package. I thoroughly recommend this phone. Love the phone. Easy to use, very light to hold and endless supply of ringtone choices. Well worth the price. Answer phone also superb.